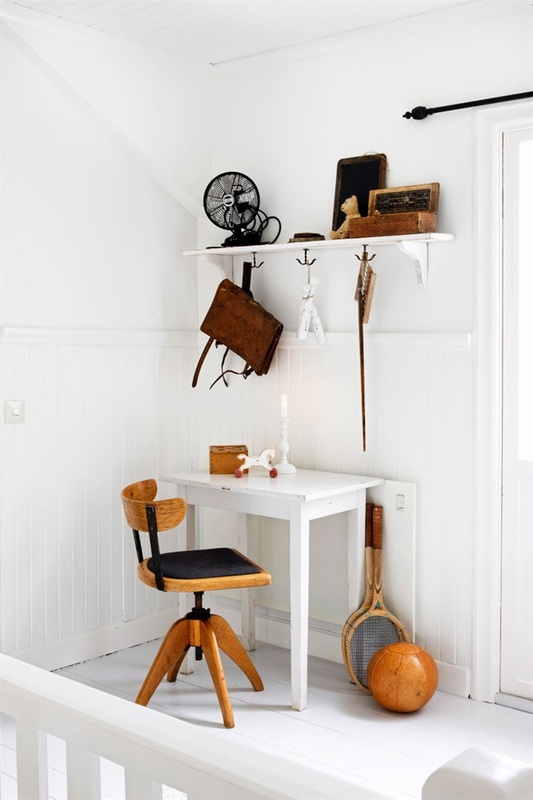 Have you ever taken a look at the website from Sweden called Hus and Hem? Such beautiful houses on this site! Really the homes are just gorgeous. 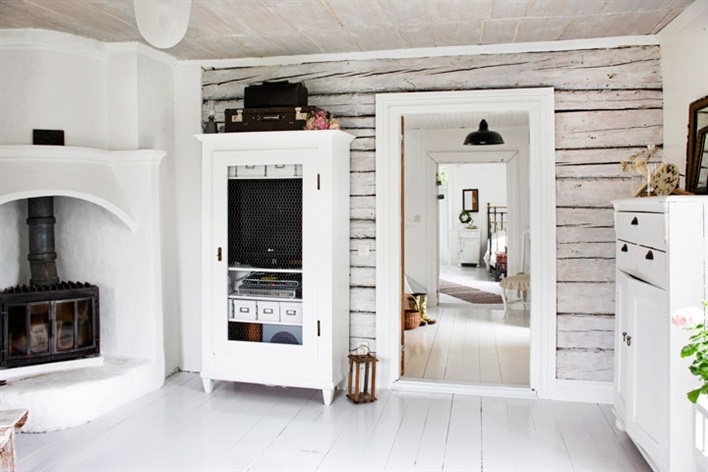 Of course you know how much I love Swedish style and there are wonderful ideas on this site for anyone who wants to decorate in white. 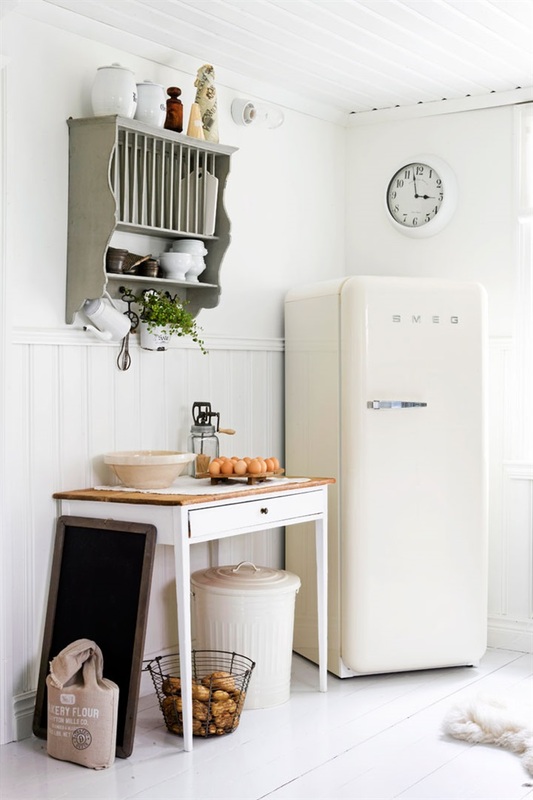 This house with a Smeg fridge and rough white wood wallpaper in the living room has great style with some typical Swedish touches......and white floor to ceiling always looks good to me!